Fresh Mango Bread is Version 2.0 of your trusty breakfast-snack-anytime quick bread. 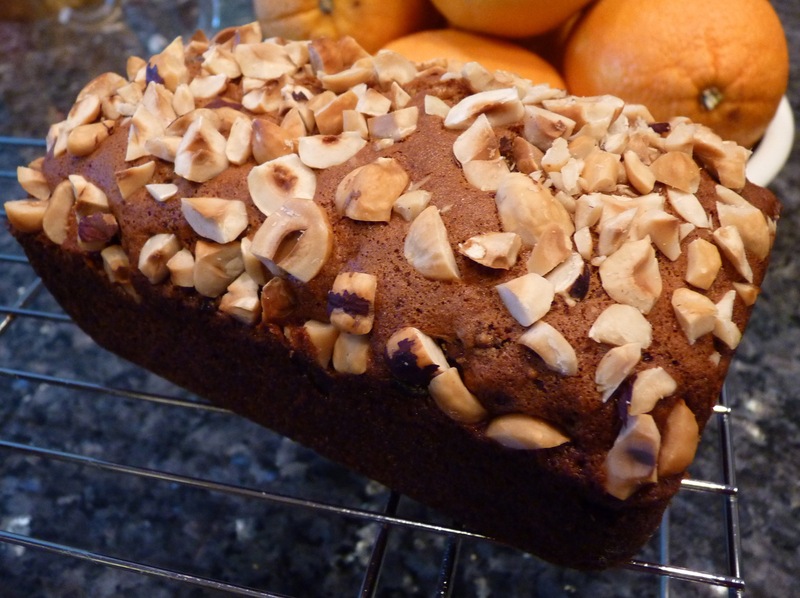 I’m out of the banana bread rut, thanks to Kelly, who picked this week’s recipe for the Tuesdays With Dorie baking group. You can find the recipe on her blog, Baking With the Boys, or on page 45 of Baking: From My Home to Yours by Dorie Greenspan. Get the recipe and upgrade your quick bread today! I cut the recipe in half and baked it in two mini-loaf pans for 45-50 minutes. Replaced half of the oil with plain yogurt, to reduce the fat. I didn’t have any lime zest, so I added 1/2 teaspoon lime juice (I know it’s not the same, but it’s what I had). Used one whole egg and one egg white to approximate 1.5 eggs. How it went: This quick bread was just that – quick! And that was a good thing, because I’ve got a knee injury and I need to keep off of my knee. So I was a bit slower than usual, taking care not to make any quick moves in the kitchen and I sat down to peel and dice the mango. The recipe says to use two cups of diced mango from one mango. I knew right away that I wasn’t going to get two cups from one mango. And I was right – one mango gave me a cup of diced mango plus two bites for me and one bite for the dog. I was ready to declare a Mango Conspiracy Theory, thinking that all of the tropical fruit runts were being sent to Wisconsin. Who should I write a letter to, I wondered. How can I get some of these apparently giant mangoes? But then I read some of the comments from the other Tuesdays With Dorie bakers and found that many of them also had small mangoes. The bakers are spread across the US and throughout other countries, so my conspiracy theory was in the trash, but it’s good to know that my grocery store is not the target of substandard fruit. How it tasted: I followed the recommendation to give the bread a day for the flavors and spices to meld. The next day it was good, and the day after it was still good. The spices are mild, which I like, and I was wishing for the flavor of the lime zest (which I didn’t have so I didn’t add it). The raisins made it too sweet for me. I love love love raisins, but sometimes they just don’t work, and next time I’d leave them out. My husband said the only thing he’d change is to leave out the ginger. He was fine with the raisins and I wasn’t, which is the opposite of the norm as far as raisins go. Would I make this again? : Yes, with a few changes. It was really moist and messy to slice after a couple of days, so I think this would be better as a muffin – no slicing required. I’d delete the raisins and the ginger and up the cinnamon and give the zest a try. 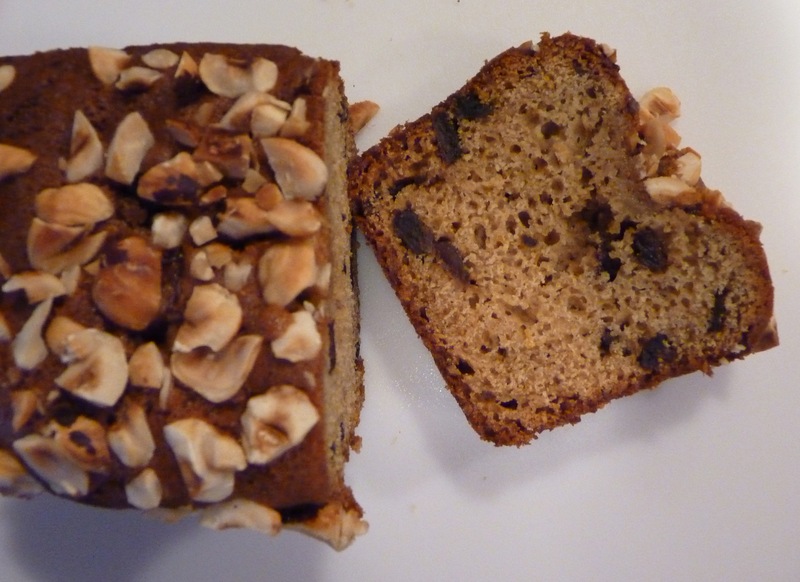 Of course I’m not giving up banana bread, but it’s nice to have another fruit bread up my sleeve.